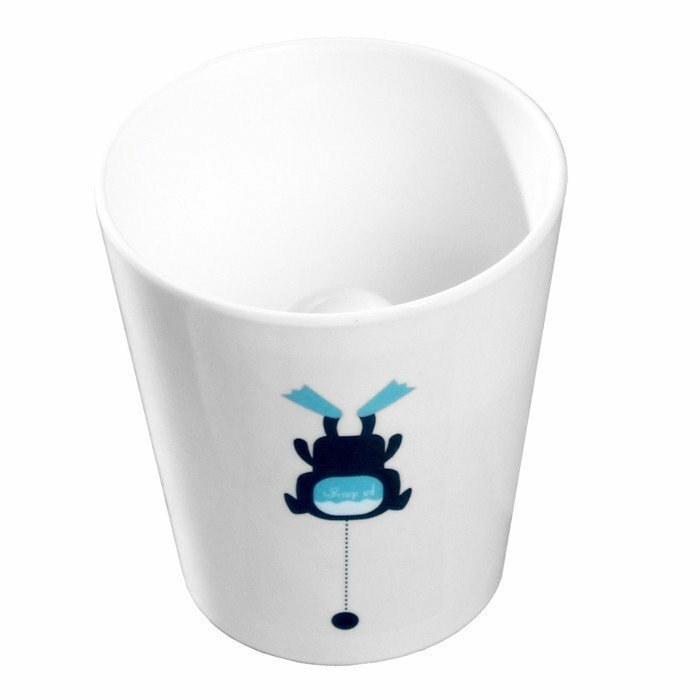 Therefore, water does not accumulate in the bottom of the tumbler! You find all sorts of tumblers on the market. But they all have one thing in common: very soon, limescale accumulates in the bottom because of the drops of water that inevitably stagnate then evaporate at the bottom of the tumbler. And yet, putting them in the dishwasher is not always sufficient to remove this thin and unpleasing limescale; it even tends to form a permanent deposit. This is when you need to bring out the white vinegar, leave the tumbler to soak, rinse it, scrub it, etc... All that for a tumbler. 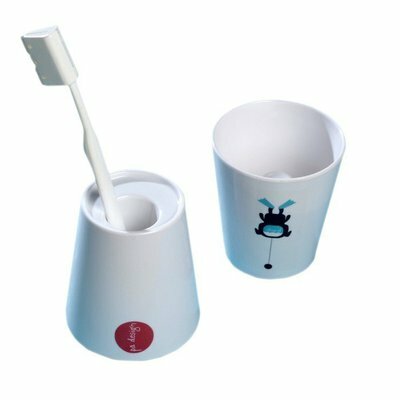 The reversible toothbrush tumbler offers a simple but efficient functionality that has the great advantage of storing one or two toothbrushes but not the tube of toothpaste (that usually tips the tumbler over...). Made of melamine, it is sufficiently heavy: its 111g allow it to be stable, whichever side you put it down. One can appreciate the creativity of this cheap and useful object, as well as its simple and cheerful decoration, that will suit children and parents. 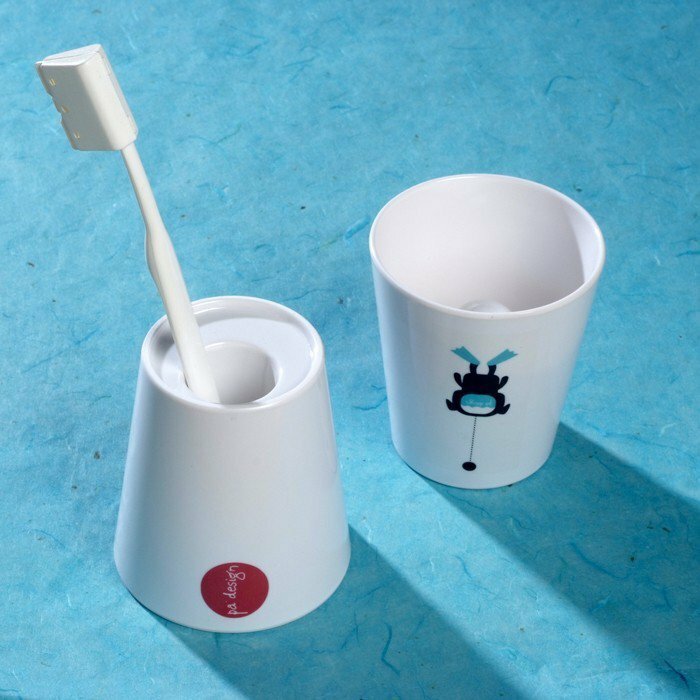 ingenious - at LaPaDD, we have bee frustrated for a long time by the absence of innovative toothbrush tumblers. Assia Quétin offers us today the best solution, and therefore we in turn offer it to you.